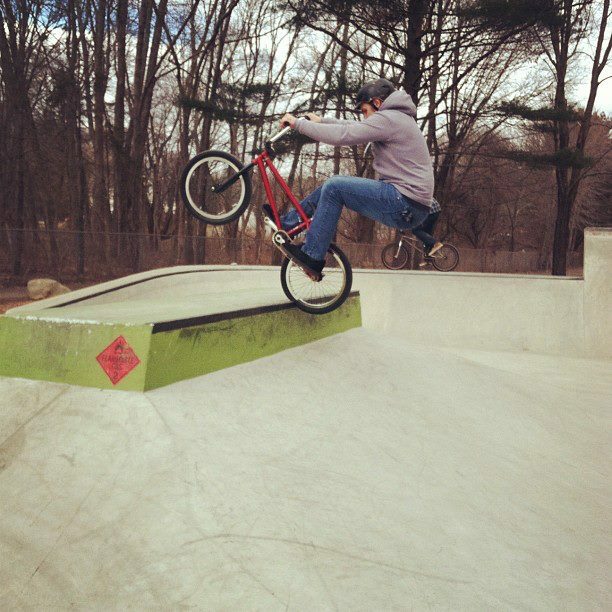 It's been about a month since we've ridden Willimantic, far too long! 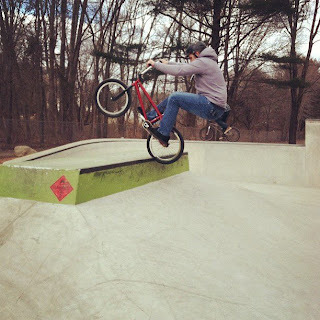 Bry and I headed over to the park today to meet up with Matt Horak and Greg Rooke. Of course, we thought the place would be dead on a Monday, but we roll up at 10am and there were 9 people already there. None the less, we got in some serious riding....5 hours worth...and I didn't snap a single photo! Tom Kalmanidis snapped the below photo cause he "loves 80's tricks". Long live the abubaca!